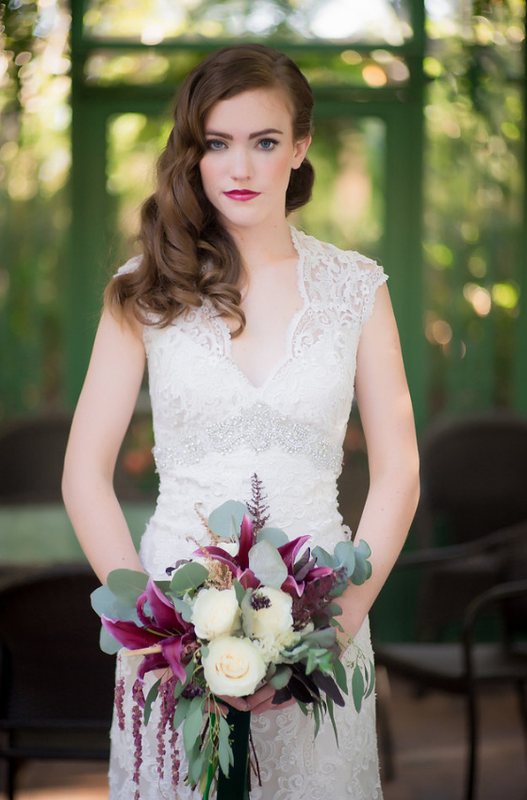 Summer styled shoot season is in full swing, and we had the wonderful opportunity to work with the very talented Rachel Liane at the Denver Botanical Gardens. 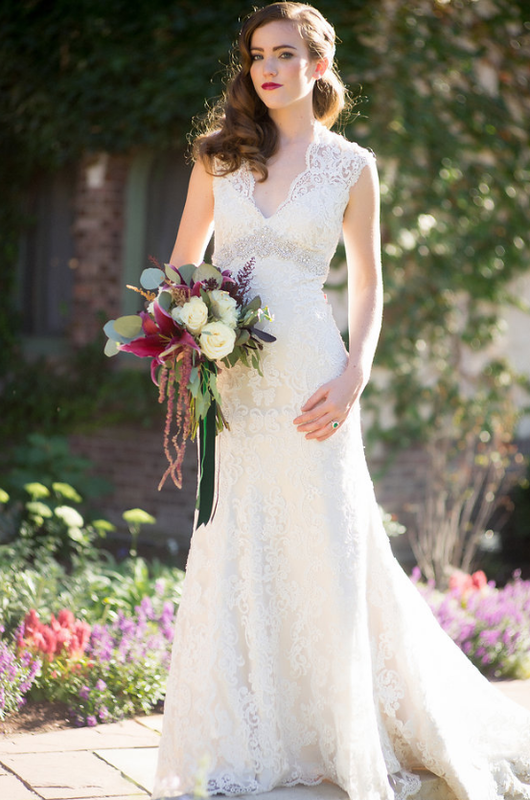 The bride looked radiant in a lace, A-line Kenneth Winston gown, and these flowers are nothing short of spectacular. 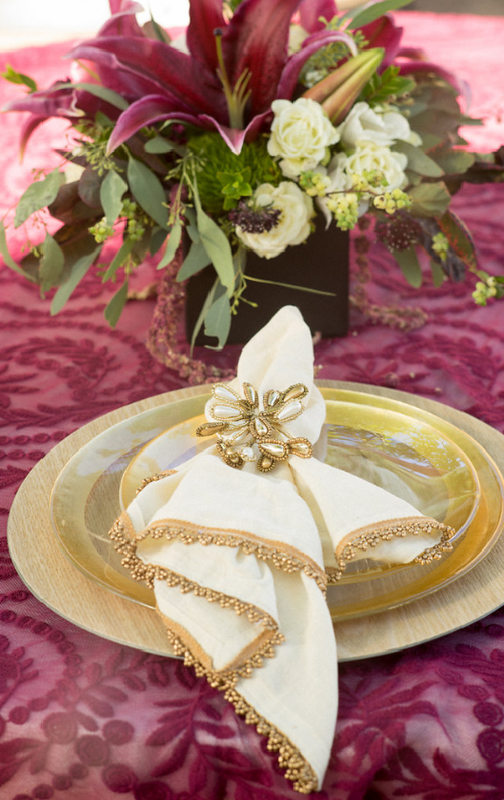 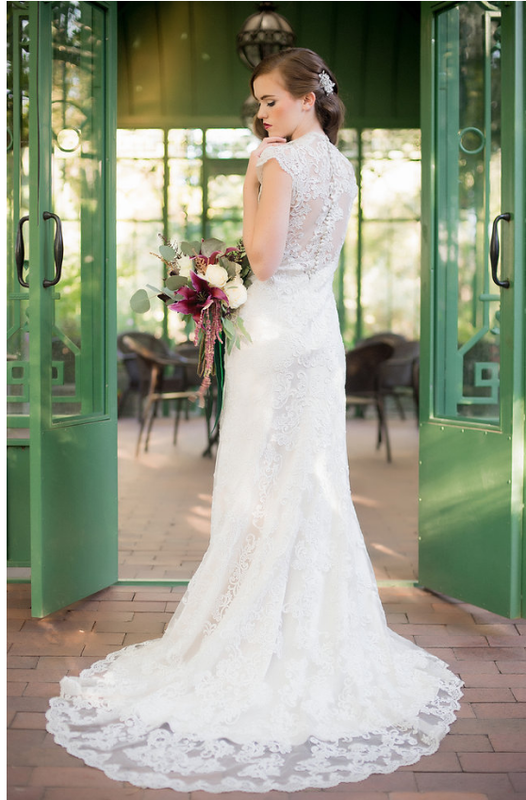 The subtle pops of plum colors looked so classic against the backdrop of the gardens, and we love the way they helped tie in her gorgeous emerald ring. 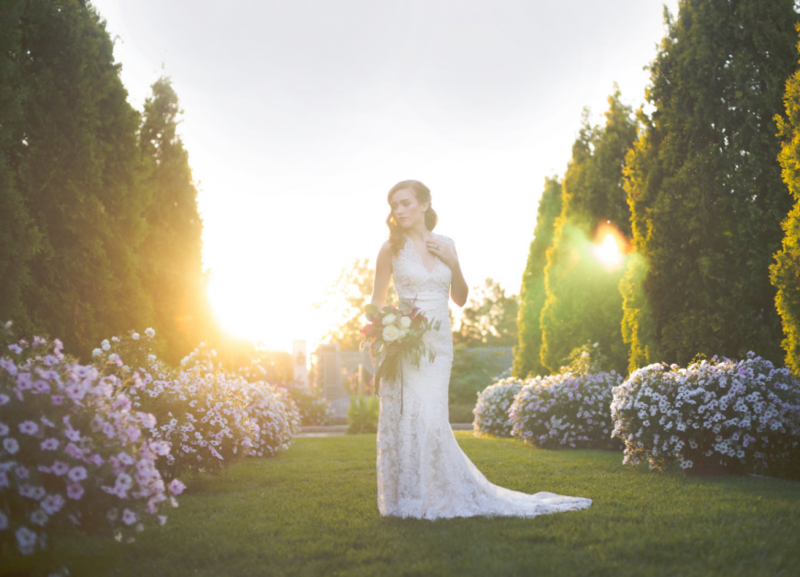 This shoot is the perfect inspiration for any bride looking to plan the outdoor garden wedding of their dreams!